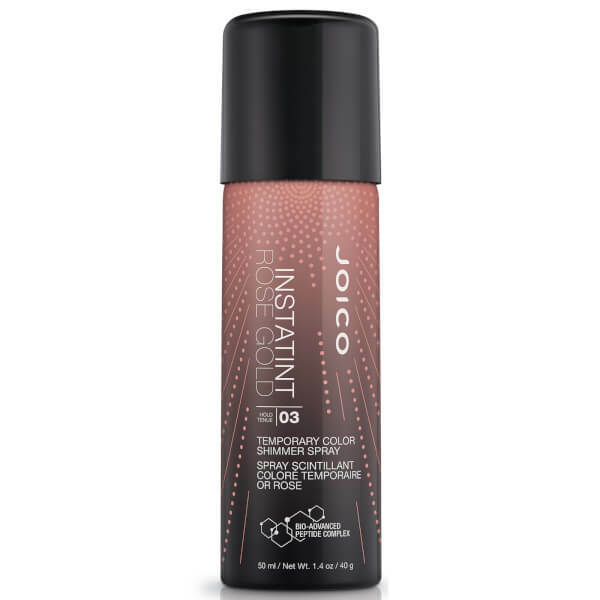 Joico’s Instatint Temporary Colour Shimmer Spray is the answer for those of you who find yourselves enviously eyeing those with bold, colour-popping strands but just can’t commit to going all-in. The Cosmic Collection features a wide range of wild shades infused with a micro-fine metallic shimmer and can be used on any hair colour, texture or length. Formulated with temporary pigments, which cuts out any processing damage and Joico’s exclusive Bio-Advanced Peptide Complex, designed to repair, protect and add shine to hair while fighting frizz. It lasts for three full days before the colour starts fading; just wash it out when you’ve had enough. Spray 8-12 inches from dry hair using short bursts. Allow product to dry between applications, layering to intensify colours. Protect clothing during use.